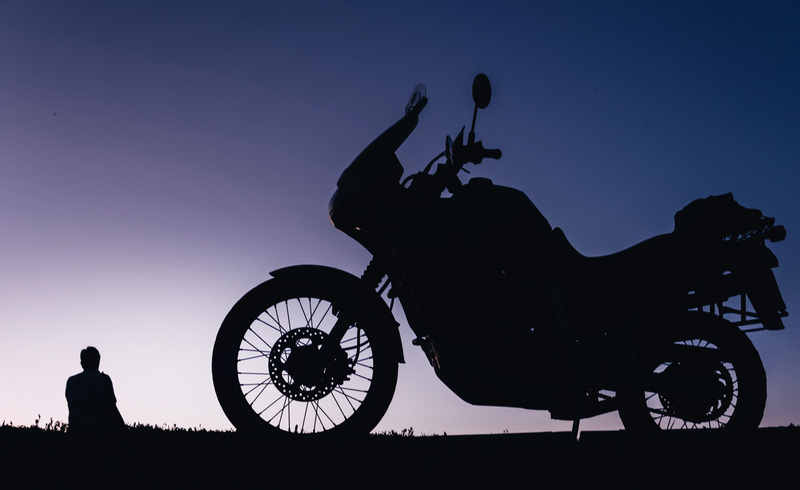 Few other images of motorcycling have captured the psyche of riders and non-riders alike as much as that of a resolute motorcyclist hitting the open road for parts unknown. For Americans, it appeals to the lore of the rugged individuals that conquered the American West. Touring on a motorcycle is about as good as it gets – no matter what type of machinery you ride. Spending days out of the cities on remote rural highways is something every motorcyclist has dreamed about. While any motorcycle – from a 30-year-old Honda C90 to a one-month-old Gold Wing Tour – can be used for touring, adventure touring aficionados will tell you that their mounts offer the most versatile touring possibilities out there. 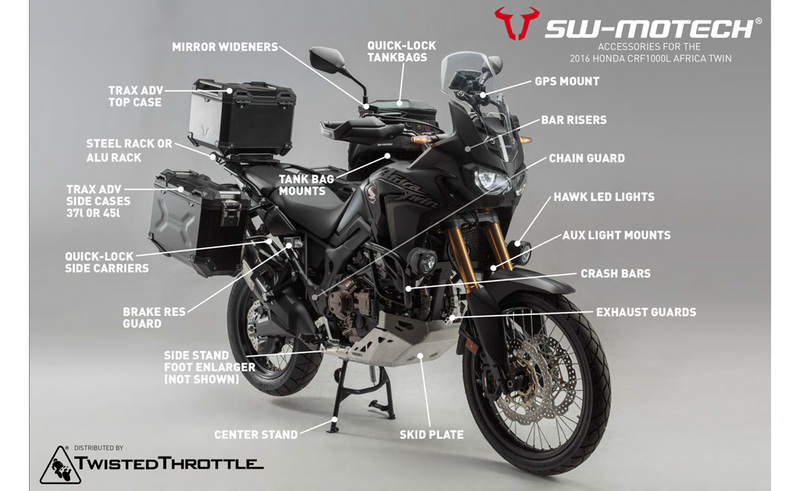 As with the SUV craze, the popularity of adventure touring motorcycles is heavily influenced by their image of toughness. The advertising that surrounds these machines (obviously) plays to this image. 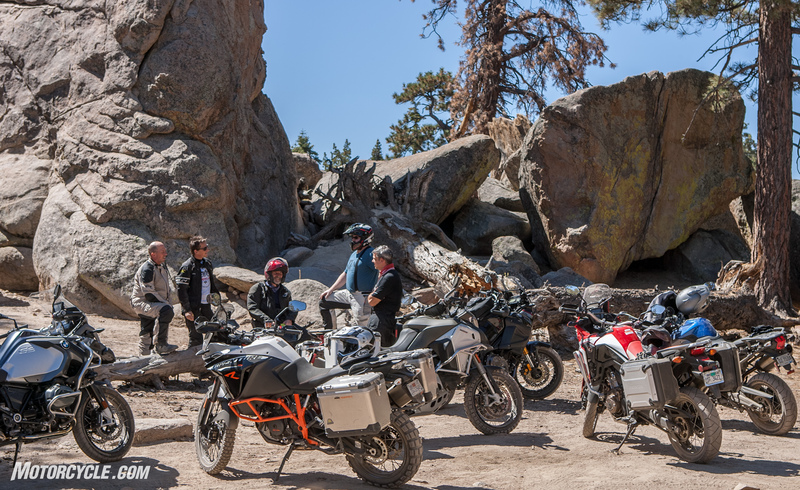 Let’s be honest, though, an embarrassingly large percentage of adventure bikes will never turn a wheel off pavement in anything other than a roadside cafe’s gravel parking lot. Clearly, it is our MOronic duty to see if we can spread the word about adventure touring. So, here’s a completely biased list of reasons why adventure touring is better than just plain old touring. Or maybe we should change the title of this article to 8 Reasons Why You Should Consider Taking Your Adventure Touring Bike Off-Road. Photo courtesy of Twisted Throttle. You know the appearance of invincibility that adventure bikes convey is a huge selling point for the machines, but have you looked at the accessories? How cool is a metal bash-plate bolted to the bottom of your engine? It says you mean business. Then add a set of aluminum panniers for the full world-traveler look. Don’t forget the auxiliary lights for keeping the trail visible at night. Now, let’s consider the riding gear. Nothing screams badassed, conquer the world motorcyclist like a well-worn adventure suit. Now, you’ll have to buy it new and work the patina in over thousands of miles, but think how cool you’ll look when you’re finished! Yeah, mountain roads are great. So are national parks or even remote desert highways. Unfortunately, they all usually share one of these: power lines, road signs, fences, and/or litter. 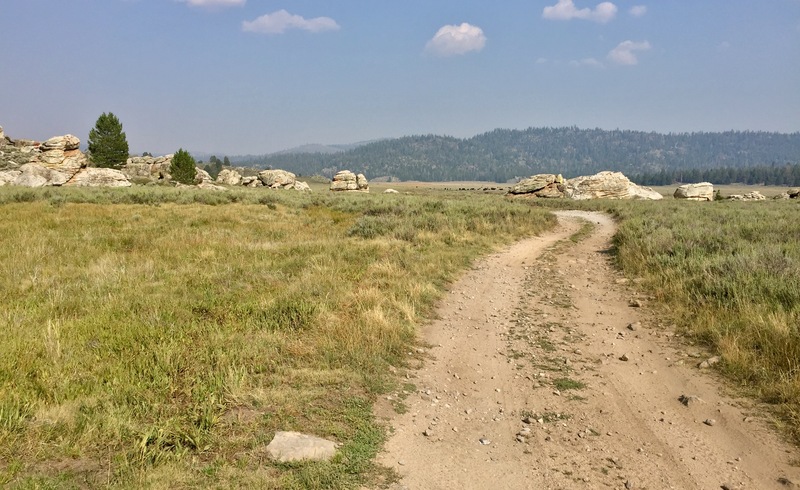 Get out on fire roads or, even better, some single-track into the wilds of your state, and sooner or later, the traces of civilization fall away and you’re left with just the forest or desert or lake country that you’re riding in. After the sun sets, look up in the sky to see the universe without light pollution of the urban sprawl. One of the problems of getting away from it all in places that are easy to reach is that you have to deal with all the other people who are simultaneously getting away from it all at the same place. 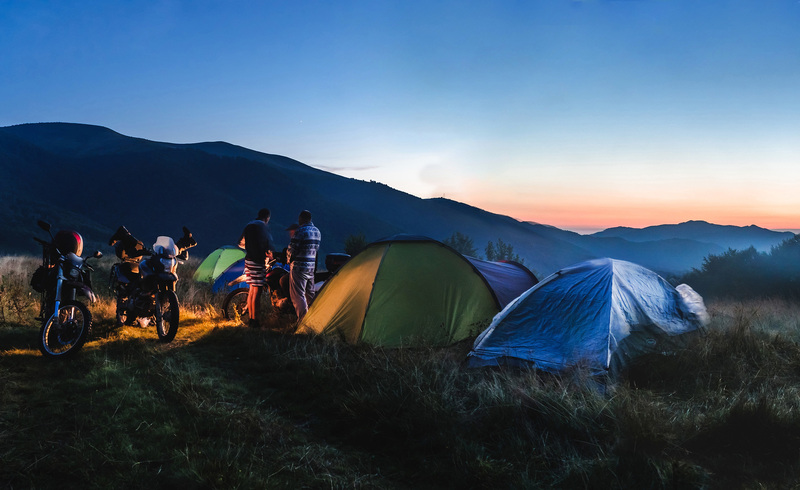 With a little careful planning – and perhaps some tips from experienced adventure riders – you can travel a whole day without seeing another soul who isn’t part of your riding group. While this could be part of the previous item, there’s something about setting up camp in a place that no-one else has ever pitched a tent before. If you’re the type of person who likes to drink a little whiskey and whoop it up after a day’s ride, you won’t be disturbing anyone, or if you prefer an evening of quiet contemplation and conversation with a couple close friends, you won’t be disturbed by the drunken yahoos at the next campsite. Instead of squabbles between siblings or music that you would never choose to listen to wafting from the adjacent campsites, you can sit and listen to the bug-song, the breeze through the trees, or just the crackle of your fire. 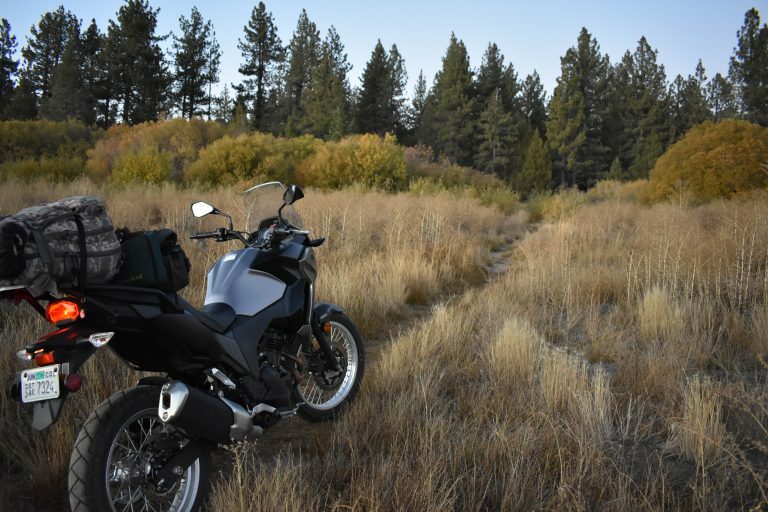 Yes, we love the sound of your motorcycles when we’re riding them, but once they’re parked for the day, we know how to enjoy the silence of a mountain meadow. When you have a mishap on a rural highway, if you wait long enough, someone will likely come along and be able to help you. 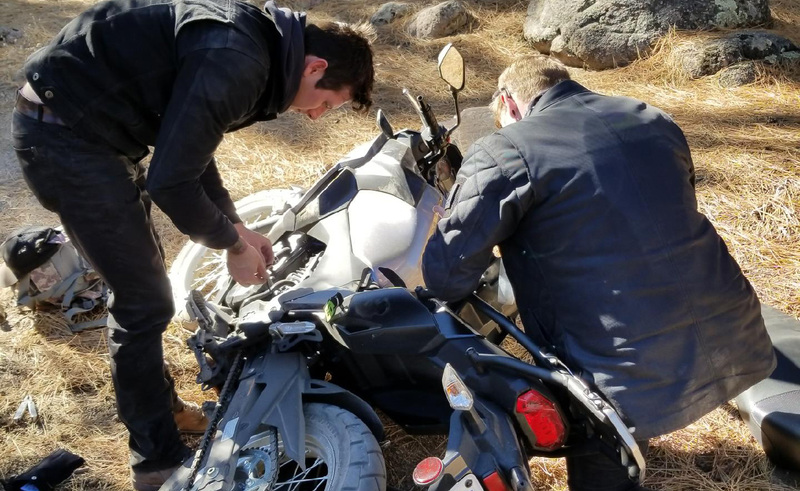 When you have a mechanical or a mishap in the Middle of Nowhere, you’ll have to deal with it yourself. So, if you get stuck in mud or sand or sh*t creek, you’ll need your own resourcefulness. For many adventure riders, that’s part of the attraction. Shared experiences have a way of bringing people together. If those experiences are challenging in nature, the effect seems to be stronger. Helping each other get over personal obstacles on an adventure ride is the stuff of long-lasting stories. 1. You don’t have to stop when the road does! 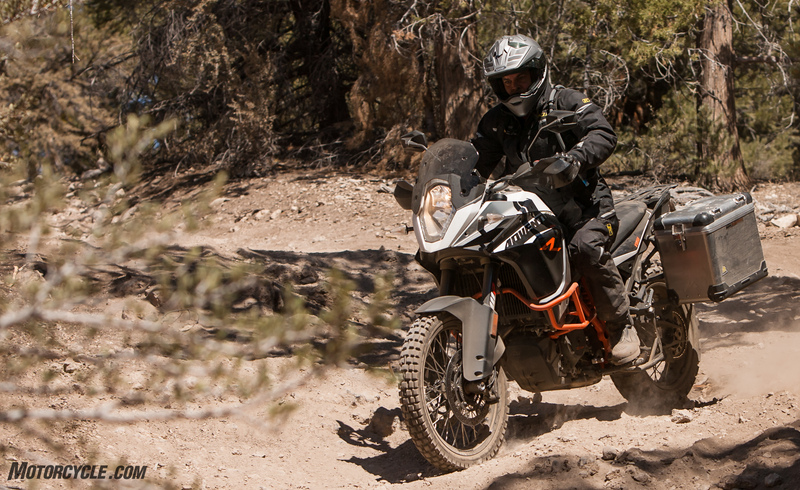 The best part of adventure riding happens the moment the tires leave the pavement. You, your bike, and your gear are going where 98% of the other touring riders never venture. Revel in the exclusivity! It only gets better the more you do it. Yes, the bikes are big and heavy and only moto-gods can actually ride them the way they do in commercials, but you don’t need to be drifting over sand dunes in Africa to enjoy the hell out of an adventure bike. Chugging along over rocks, across sand, and through streams is tons of fun. So, go out and get dirty!